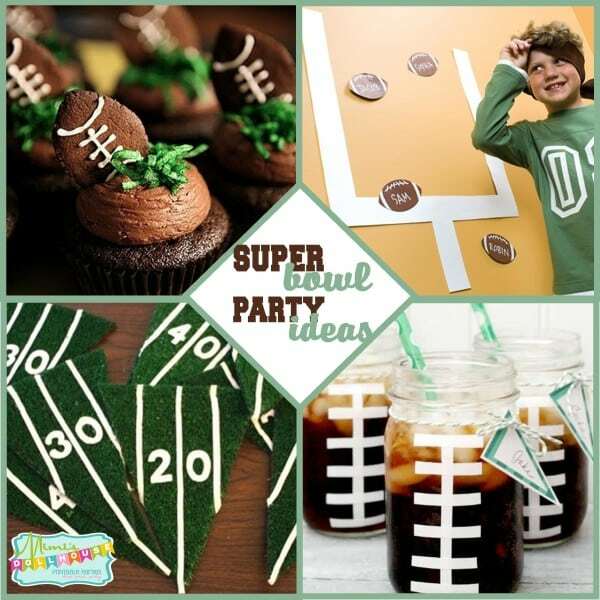 Super Bowl Party: Football Party Ideas. Whether you are throwing a Super Bowl Party, a tailgate party or a football themed birthday party, we have some awesome football party ideas for you! 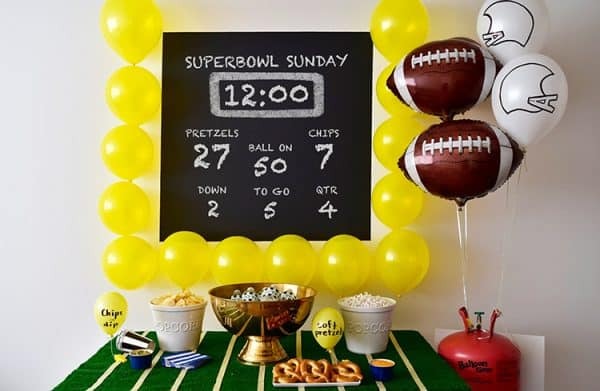 Get ready for the big game with some awesome football party treats and football party decorations. 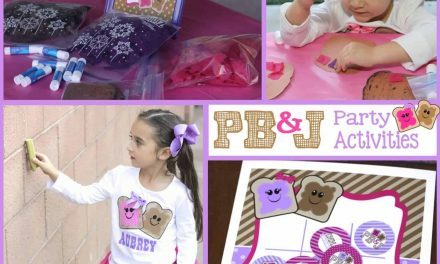 Be sure to check out these football desserts, soccer party ideas and this fun sports themed birthday party. 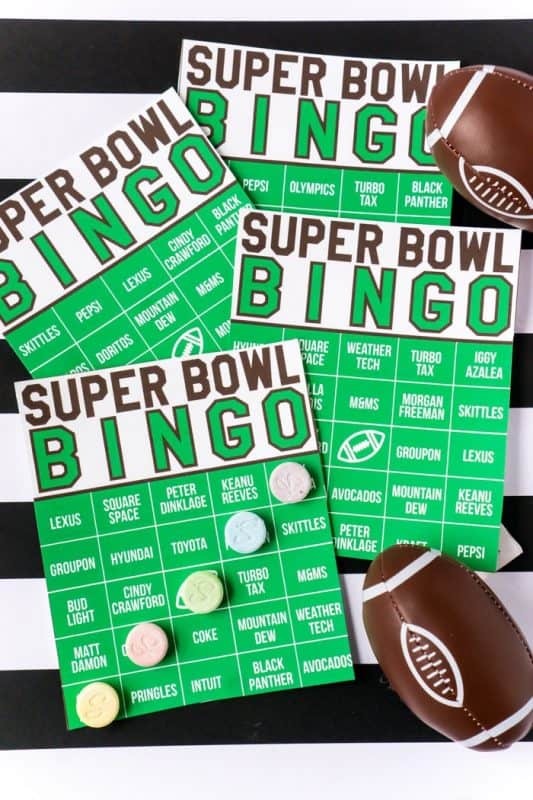 Are you ready for the Super Bowl this weekend? 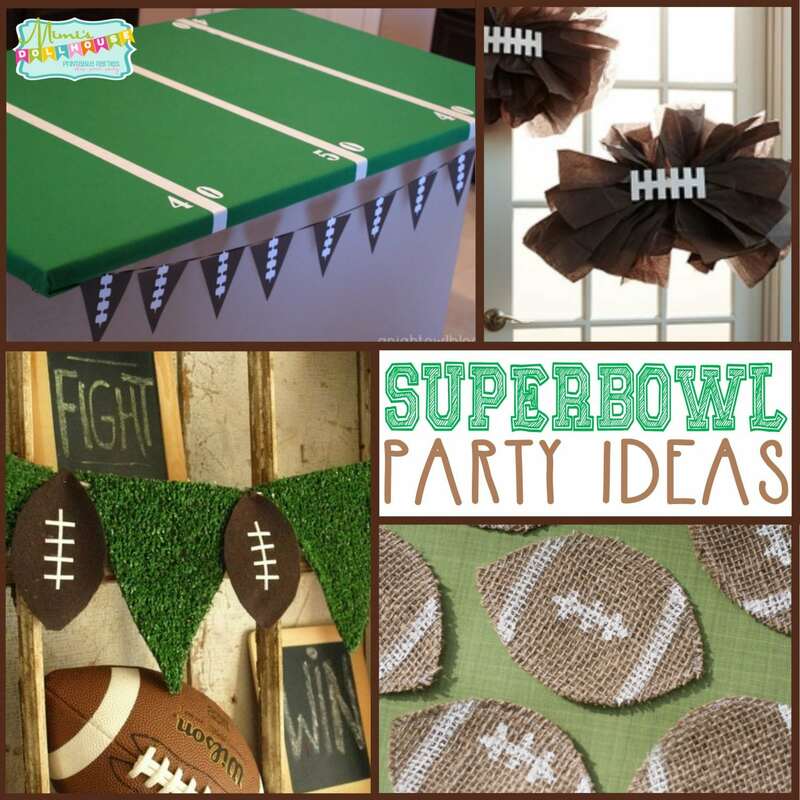 We are hosting a Super Bowl party at my house this year, so of course my mind is a buzz with party ideas. Personally, I’m a little bummed about this year’s Super Bowl. Pretty much dislike BOTH teams playing…but since I love me a good party, we are gonna throw one anyway and cheer for the commercials! Football parties are some of my favorite. It never ceases to amaze me how many creative ways there are to make something ordinary look like a football or a field. And seriously, its just plain fun to do so. 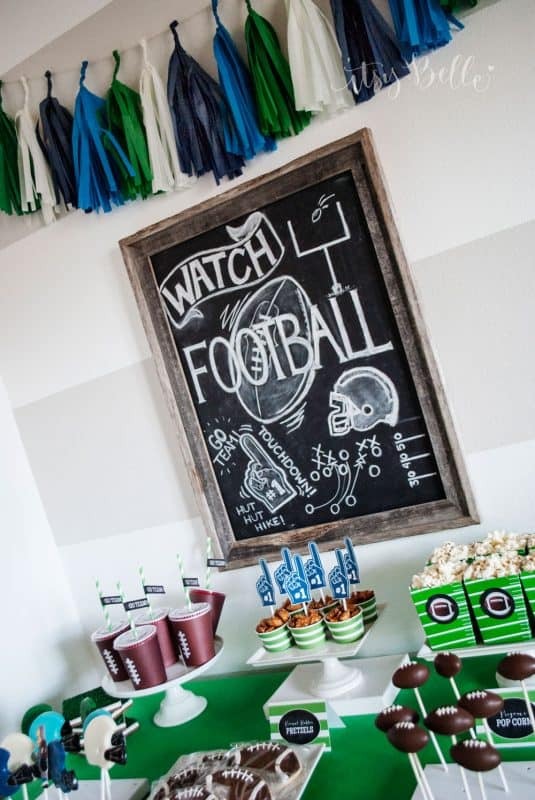 Another thing that I LOVE, LOVE, LOVE about throwing a football themed party is the food. Tailgate menus are awesome. I’m a sucker for greasy sports bar style food. Come on, I’m an American…it’s kinda my job to love nachos and chili dogs, right? 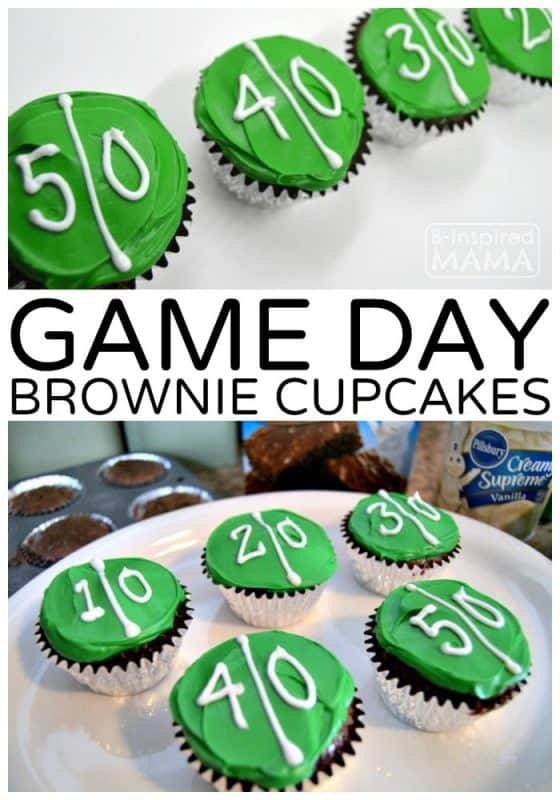 These adorable yard line cupcakes look yummy and would definitely be a hit for your Super Bowl party or football birthday! How clever are these little football party treat bags. 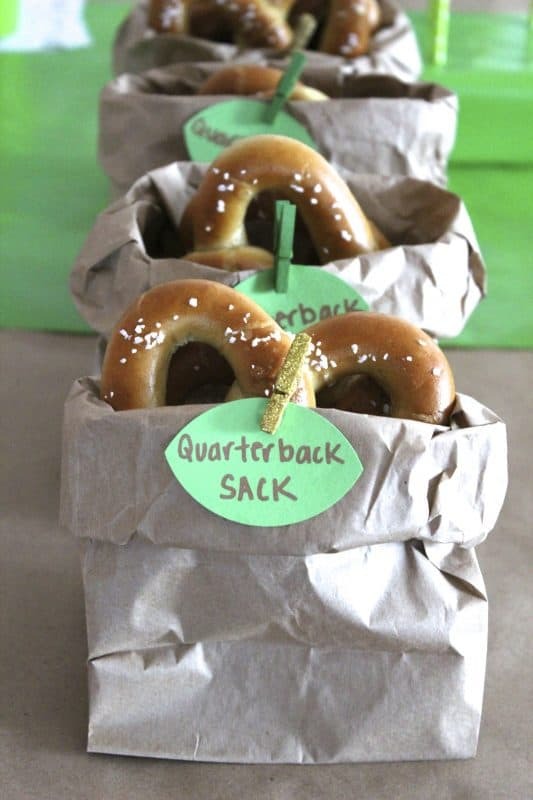 With this clever name, you can put pretty much anything in these Quarterback Sacks!! 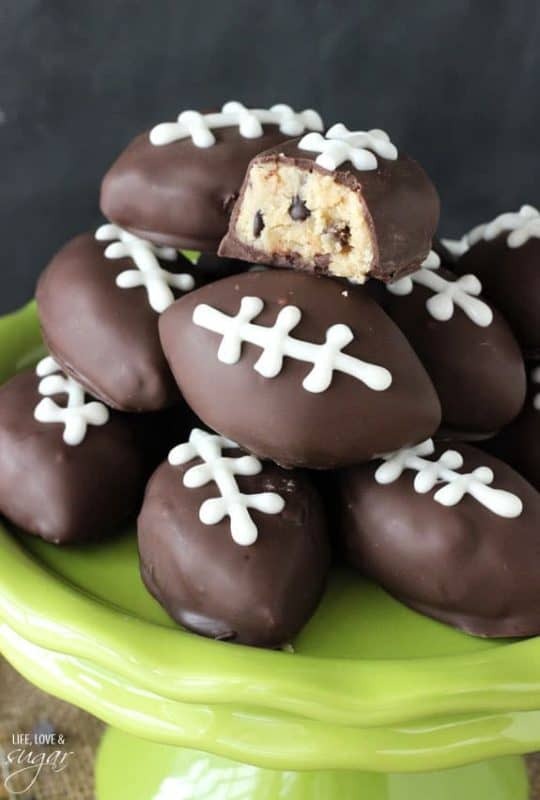 How delicious and adorable are these little football treats? Cookie Dough for the win!! 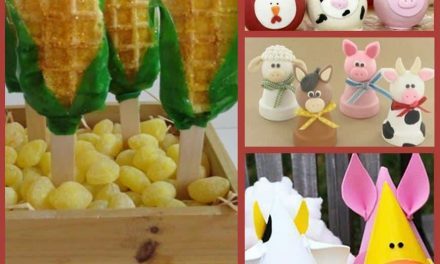 Want a fun way to take a simple party treat and make it awesome? 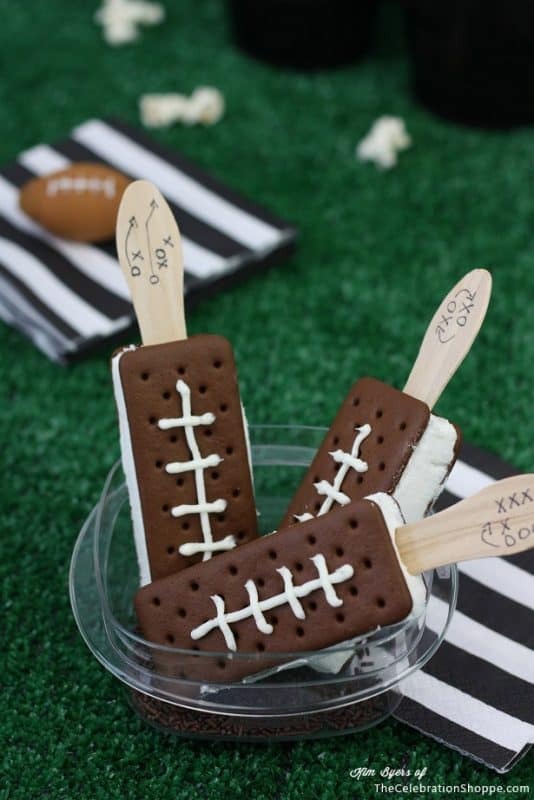 These football ice cream sandwiches are just what your Super Bowl party needs!! Did someone say cheesecake? 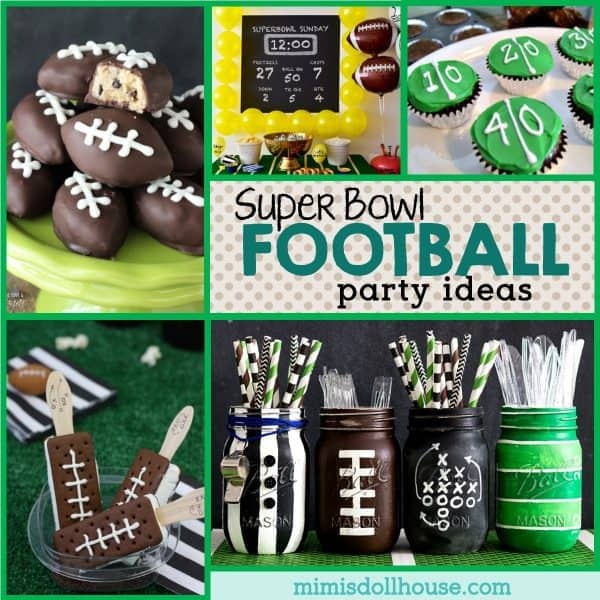 These are such great treats for a football party or a Super Bowl food idea! Love them or hate them, the refs are an important part of the game! 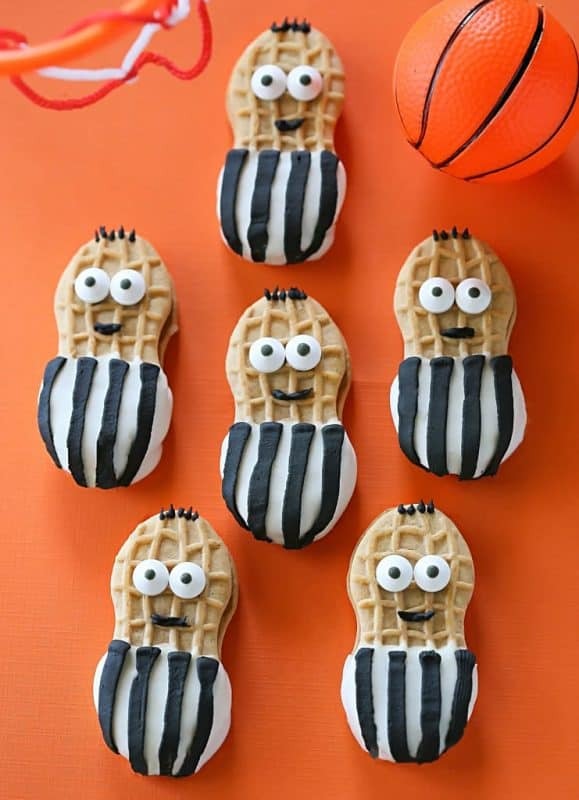 Make these cute little treats and you can literally bite off their heads when the calls don’t go your way. Beats screaming at the tv, right!! Simple and delicious. 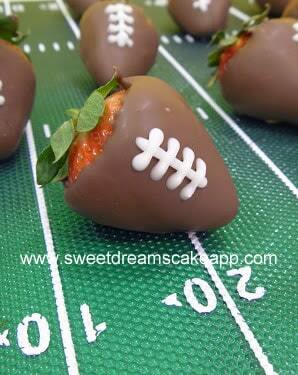 These football strawberries are too, too cute!! 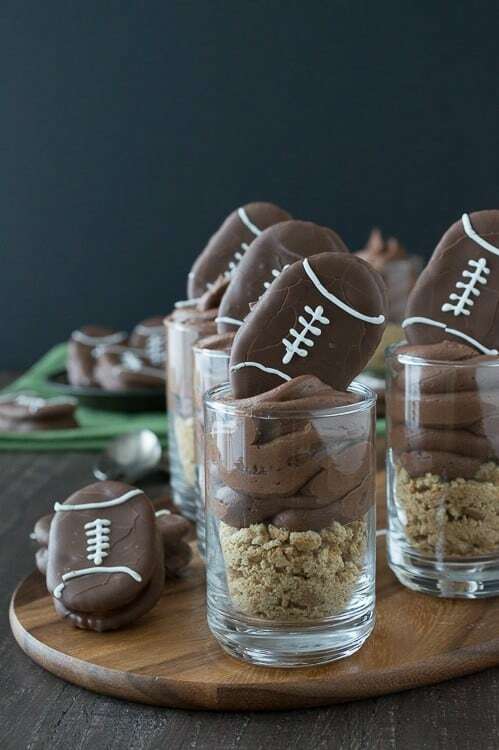 Don’t just serve up some amazing football treats for your Super Bowl party…get your decoration on too! 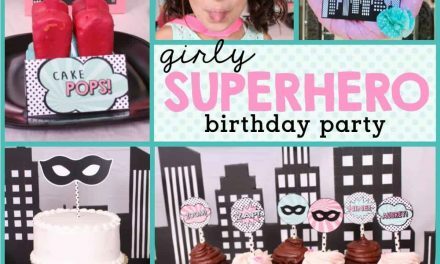 Here is a simple and adorable balloon backdrop for your party table! 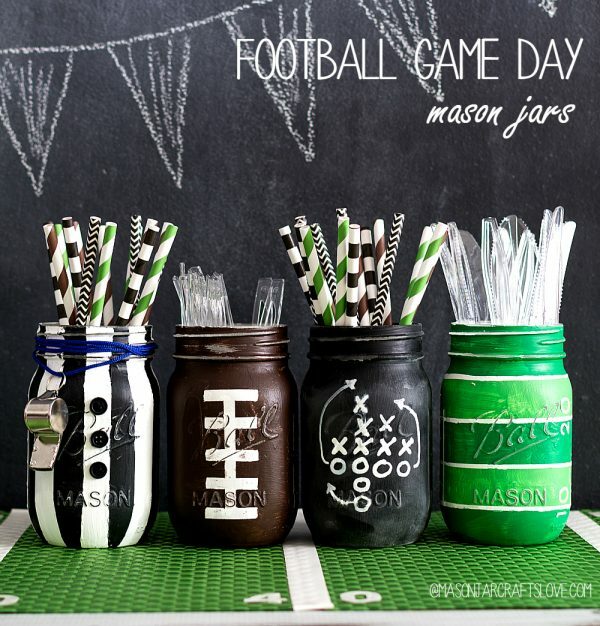 These painted mason jars might be the cutest thing ever. Love this idea for a football party. 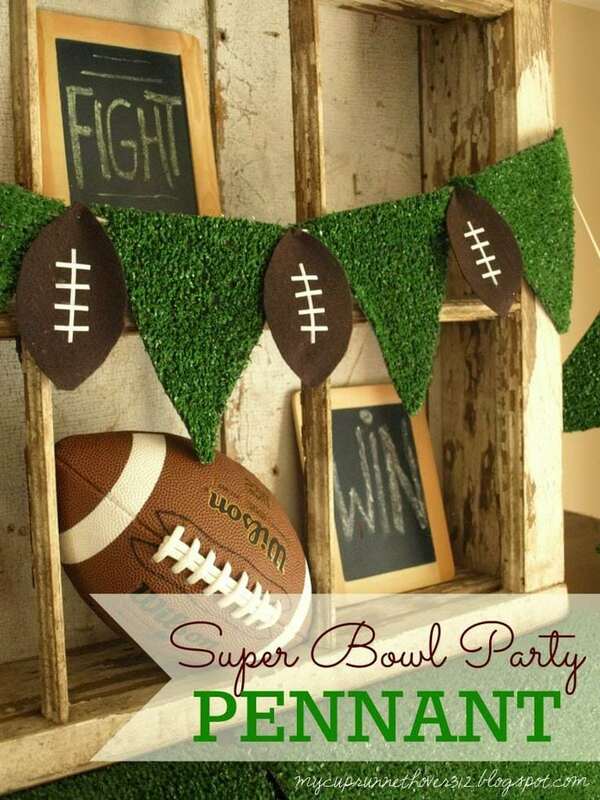 I love this idea for a football party backdrop. So simple and so adorable. 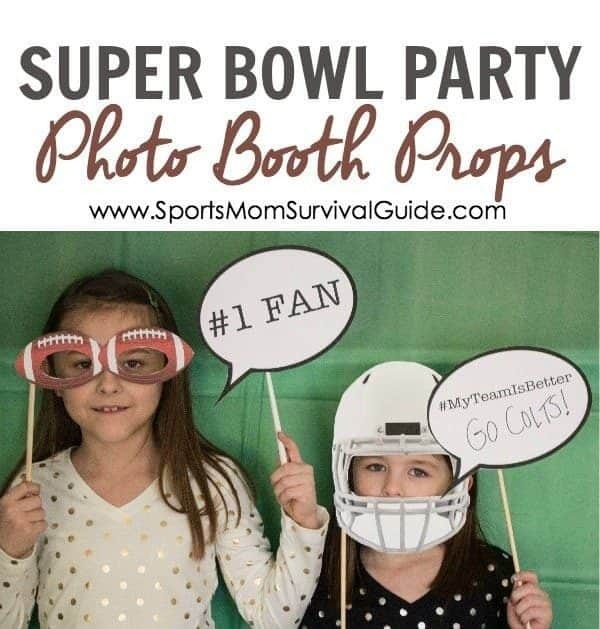 This is a great ideas for those fun Super Bowl commercials. Get a game going while you wait for the game!!! These are not only cute, but easy peasy. What a great touch! I LOVE THESE. Simple and yet oh so clever. Any dark drink would work as well…even my Dr. Pepper 10 obsession!! 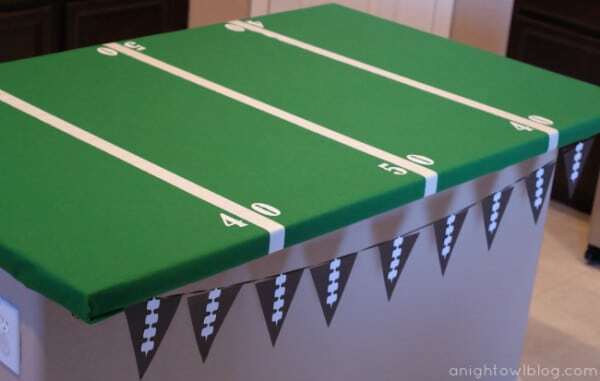 Seriously…the field table is hands down my favorite idea for a football party. It’s clever, its easy and its practical…LOVE it. This tutorial helps break it down easy for you. All good things. So confession time…one of my biggest pet peeves is when I’m having a party and people leave their glasses on my furniture and don’t use a coaster. I try to have them all about, but inevitably…I get a ring on one of my tables! Problems of the OCD! So these easy and inexpensive DIY football coasters are like a dream come through for a girl like me!!! I love these cute football poms. 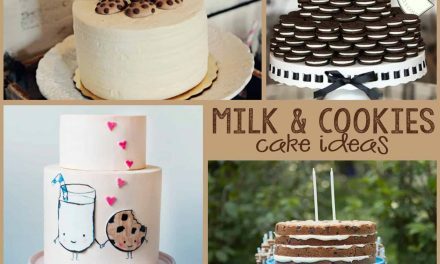 They would be fabulous over a dessert table or cascading the sides of the big screen! 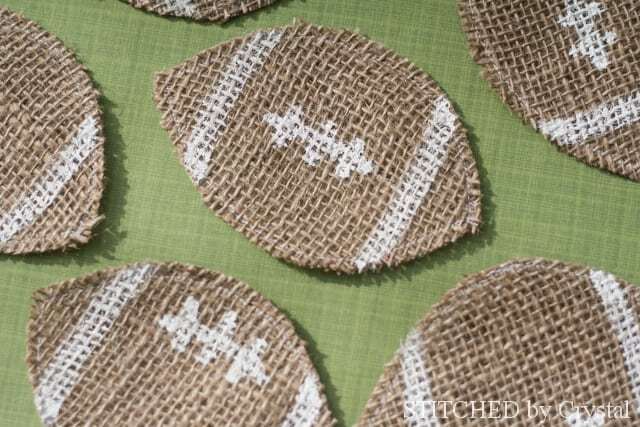 These can be easily made using brown tissue poms!! 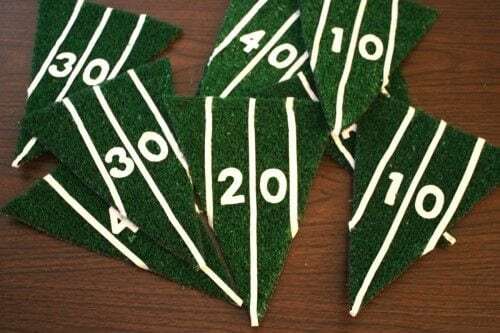 This adorable football bunting has a nice vintage-y flair to it. So fun and so easy. 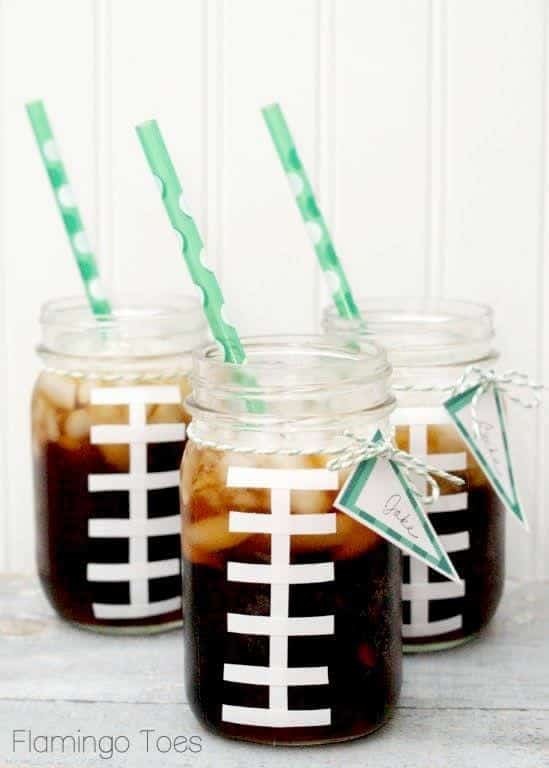 It would be the perfect addition to a little pigskin party! 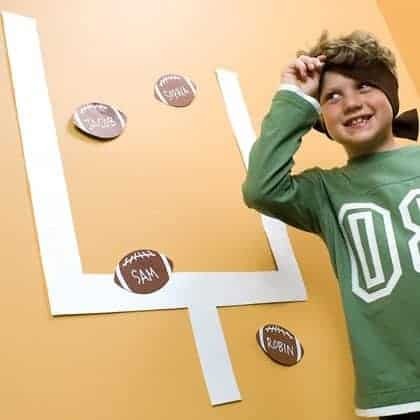 Keep the kiddos (or the grown-ups acting like kiddos) entertained with this fun Wall Football game! 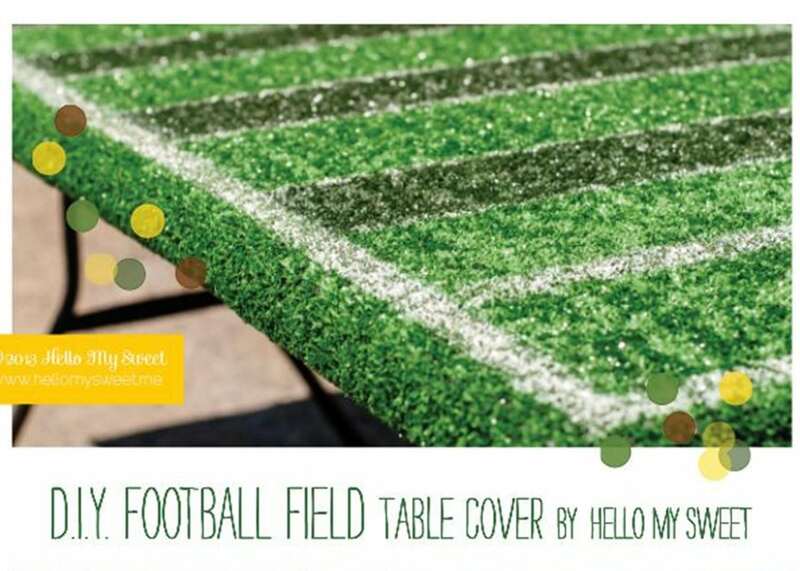 For the over-acheivers amoungst us…this field tabletop is AWESOME! I love the detail in the painting and the tutorial is easy to follow! Well, regardless of who is playing in the big game, there’s always a reason to decorate. 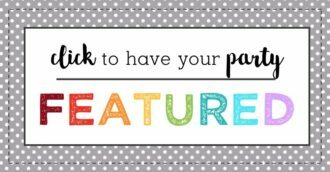 Hope you enjoyed these ideas. 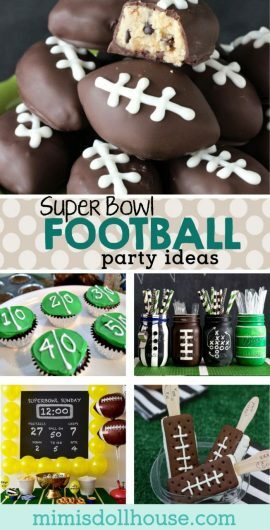 Be sure to check out these football desserts, soccer party ideas and this fun sports themed birthday party. Wanna throw a football party?